Discover the world at your Library! The North Babylon Public Library has been certified as a Green Business by the Green Business Partnership. By becoming a certified green business, the North Babylon Public Library is modeling best green business practices and a commitment to continuous improvement. 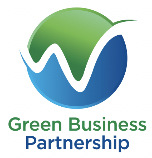 The Green Business Partnership helps businesses and organizations become more sustainable in all areas of operation in order to earn the official GBP Green Business Certification.